The picture right shows a chimney through a house with a wooden floor. With the Adaptor to twin wall flue pipe, which goes into the enamel pipe (pictured below left). 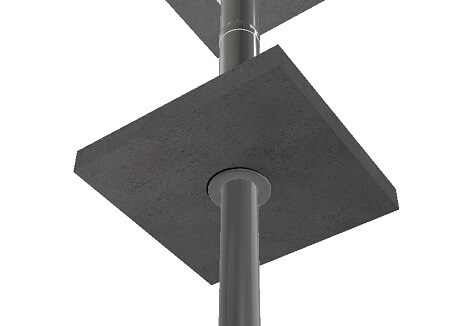 Insulated ceiling adaptor, where the enamel pipe goes into the adaptor, to give an esthetic connection (pictured below right). With 2 ventilated firestop plates (pictured bottom left). With 2 closed firestop plates, the tight wall sleeve and specialised 60 mm thick insulation between both, this protects the wood. 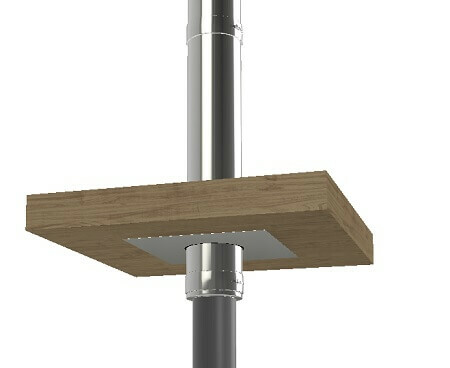 Thanks to this system, heat losses caused by the ventilation in the previous system are avoided, as the point where the chimney goes through the ceiling is airtight (pictured bottom right). 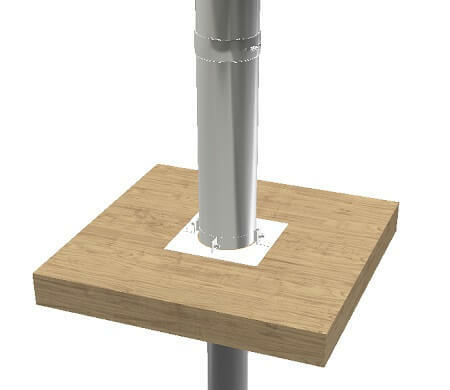 The minimum distance between the insulated chimney's outer wall and the combustible materials is 60 mm (G60). 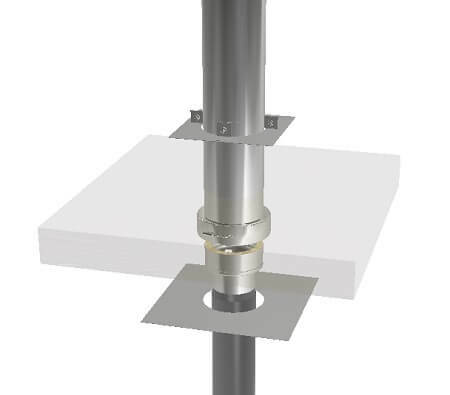 The connection single to double wall can be made in the floor.